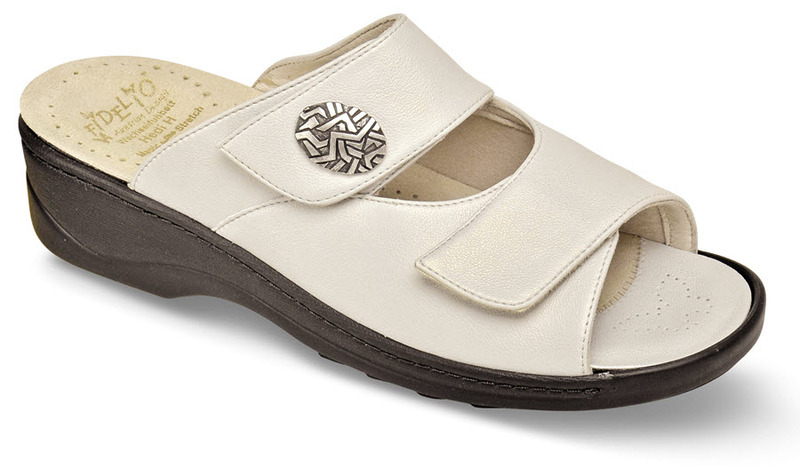 Austrian design, buttery soft leather uppers and an ingenious hidden stretch insert that cradles the big toe joint and relieves pressure makes the white Fidelio "Hallux" slide sandal amazingly comfortable. The richly-padded insole can be removed to accommodate orthotics. 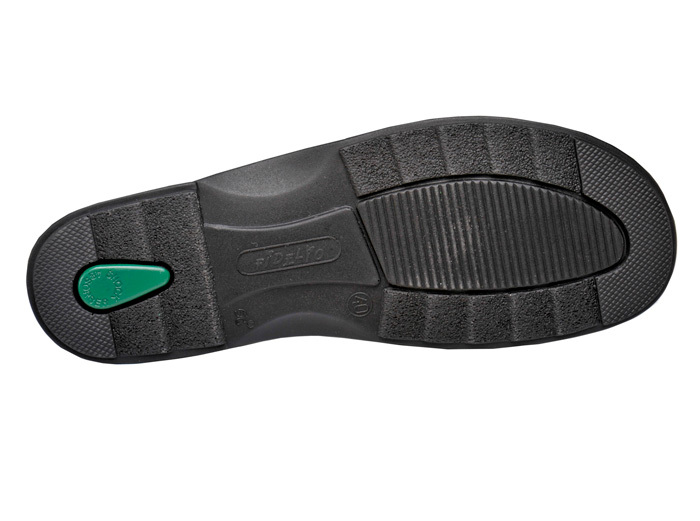 Lightweight polyurethane outsole with slim heel design with 1½-inch heel height. Originally $169.95. Limited stock in a 3E width in European size 38 (equivalent to U.S. women's size 7½ 3E).